Hampton is located on the Virginia Peninsula in the Hampton Roads area of southeastern Virginia. It is bounded on the north and east by the Chesapeake Bay and on the south by the Hampton Roads Harbor. 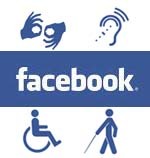 The Hampton area features a veriety of historical, cultural and recreational activities and attractions. 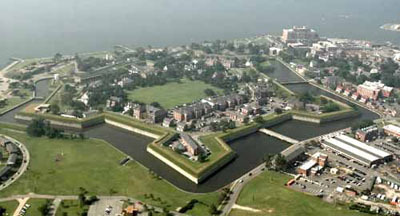 Fort Monroe is recognized as the largest stone fort ever built in the United States. Nicknamed "Freedom's Fortress," this Union-held fortification provided a safe haven for hundreds of runaway slaves during the Civil War. In the middle of this urban environment is a family-oriented adventure, Bluebird Gap Farm,	60-acres with about 150 domestic and wild animals, including everything from the usual array of farm animals to a raccoon, birds of prey, whitetail deer, tortoises, and peacocks. Hampton is also the location of a world-class collection of African, African-American, and Native American art at the Hampton University Musem. The American Theatre adds to the arts scene in Hampton, newly renovated and very accessible for all. The city is also the home of the oldest continuous English-speaking parish in the United States, St. John's Church established in 1610. Fast forward a few miles and a four centuries with a viit to the Virginia Air and Space Center, birthplace of America's space program.